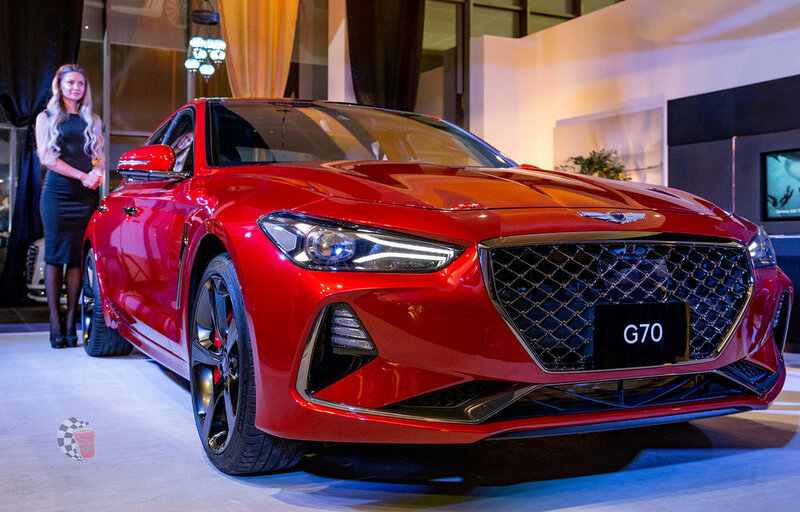 It is very clear now that Genesis is making a bold statement that they will have a car for each segment especially with the release of the new concept the “Essentia” What an amazing looking car and now here is another player in town the G70. The all new G70 comes with 2 engines. The base engine will be a 252-hp turbo 2.0-liter inline-four; The second is a 365-hp twin-turbo 3.3-liter V6, driven by a 2nd-generation rear-wheel drive 8-speed electronic automatic transmission. Do not forget the stopping power of the G70’s Brembo brakes. As we are used by now from Genesis, the interior is a straight forward, smooth leather, easy controls and the most eye catching detail are the seats, a red diamond stitching seats. We are sure the G70 will be a pleasure to drive, as we previously tested the G80 Sport and it was an amazing drive.